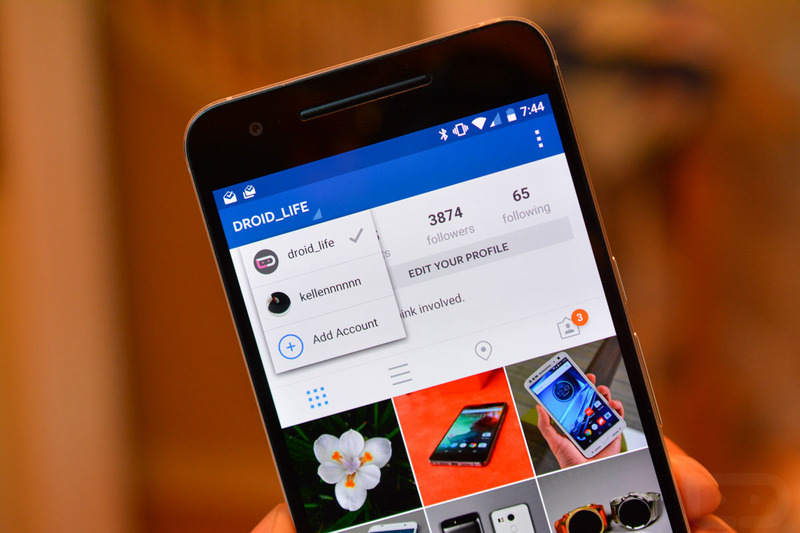 An update to Instagram is rolling out on Android as v7.12.0 that brings a significant new feature – multiple account support! For those of us who operate a business and a personal Instagram account, we can now control both without having to log in and out each time! I can’t even begin to describe how big of a deal this is for all sorts of industries (and the DL IG account). When you update, in order to add a secondary account, you’ll need to go to your profile page, hit the menu button in the top left, and then scroll all the way down until you find the “Add Account” option. Tap that and sign in. Once signed in to multiple accounts, you can then toggle between them through a drop down menu found on your profile tab in the top left corner. You can see how this looks in the image above. From that menu, you can switch or even add additional accounts, in case you have more than two. Once you choose an account, the profile image for that account will then show as the image of your profile tab, so that you always know which account you are using. If you want to sign out of one, you can do that from the settings menu, all the way at the bottom. Edit: This could very well require a behind-the-scenes server side flip in order for the feature to go live on your device. You will more than likely need the new 7.12.0 version, though, so be sure to sideload that below.